Each step of the process was completed on time and perfectly. The staining was particularly impressive. 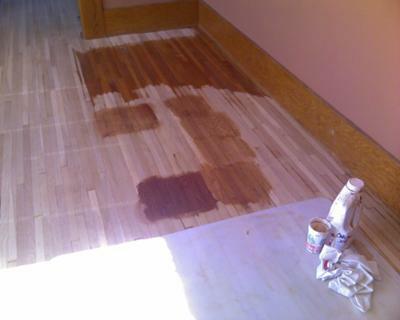 Our Floorwright mixed several samples and we compared them to a spot that he had not yet sanded. 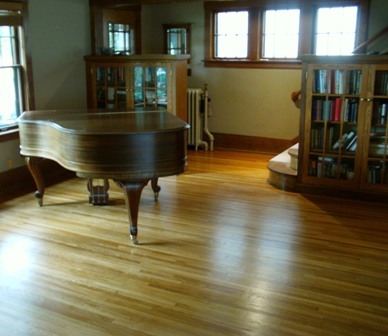 The original color was not done with low VOC wood floor stain, but the end result is even prettier than the original. In the kitchen, the floor is only 25 years old and had been buffed and coated once since installation. Our Floorwright just buffed it again and recoated it to further protect it, and it looks a lot better. We will be calling him back in a few years to sand it down and refinish completely. The floors are gorgeous. Our Floorwright was meticulous and apparently takes great pride in his work. The low VOC wood floor stains he uses are not noxious. 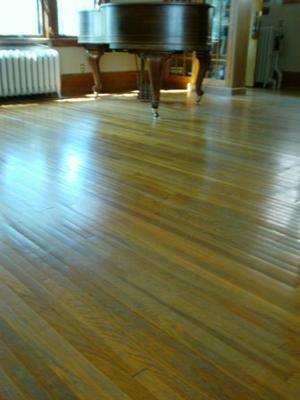 We were quite impressed that there was basically no dust anywhere after the sanding and very little odor after the sealing and finishing. And we were able to live in the house each night during the process, although our dog had to be boarded the last few days. 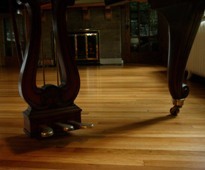 We have already recommended our Floorwright to two of our friends and would not hesitate to recommend them to anyone.